Traiven’s Pass by Jessica Marinos is a debut novel and also the first book in the “Trimont Trilogy”. It is set in medieval times in a land where the king is missing, but a steward king is ruling the land. There are knights and peasants. There is mystery, intrigue, romance, and adventure, and through all of that, there is good and evil at work. I struggled through reading the first four chapters of Traiven’s Pass because it is told in first person, which I am not a fan of. However, it wasn’t just the fact that it is told in first person, but that the first person Point of View changes from character to character, although each chapter is told from a different character’s first person Point of View. However, after getting through the first four chapters, there were more chapters told from the same character’s first person Point of View–the character’s didn’t change so often. Because the story is told so well, and Ms. Marinos did such an excellent job of creating well-developed characters, after chapter four, the first person Point of View character switching ceased to bother me. I became so caught up in the characters’ lives and the story that it was quite difficult to put the book down. Ms. Marinos did an excellent job creating and describing her world without overdoing it, and she is quite masterful at weaving back story throughout the story and not simply dumping paragraphs of information from the back story in the middle of an important scene. Ms. Marinos did such an excellent job showing her character’s emotions that I felt them with them. I have to say that my heart broke over Sir Danek, as I understood his character and so hoped that he could soften. I love Lydia and felt all of her joys and pains throughout the book. Galen has spent his life in a small town and has a lot to learn. I loved the children of Trimont and Meklon and Lady Vala and Rose. I could go on and on. Even after putting the book down, I would think about the characters and the struggles they were going through. They became real, living, breathing people to me, and I can’t wait to read more about them. 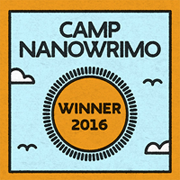 It was also wonderful to read a novel all the way through without finding grammatical and typographical errors. This book was obviously, painstakingly well edited. This is the best debut novel I’ve read in quite a while. It will remain a favorite of mine for years to come. I cannot wait for the next installment of the “Trimont Trilogy”. 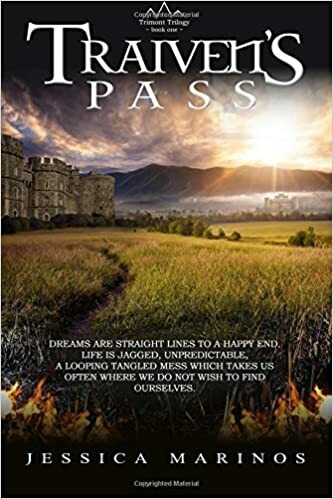 I highly recommend this book to anyone who loves medieval stories, and though, I rarely give a book five stars, in my opinion, Traiven’s Pass definitely deserves five stars!